What is The Skype for Business Cloud Connector. As you all aware that the Skype for Business Cloud Connector Edition is now available to download and ready to use (Also license free). Before deciding to go ahead and deploy the CCE it’s important to know if the CCE is the best choice for the requirement. To assist with the planning and decision making, the “Plan Your Cloud PBX Solution” Technet article can be used. The ultimate purpose of the CCE is to allow clients that having On-Premises PSTN connectivity, to be used with O365 Skype for Business Online. In a nutshell, CCE only have the components that require to to handle the PSTN related workload. The rest is all O365 Skype for Business Online. The ideal topology for CCE as shown below. It must have 2 Cloud Connectors deployed within DMZ to support High Availability and 2 PSTN Gateways to support PSTN level High Availability. The users will be registered in O365 and when they make\receive PSTN calls, then only the CCE comes in to play. The peer to Peer Skype for Business calls and conferences will be handled by O365 Skype for Business Online. CCE can be an ideal solution for greenfield Skype for Business requirements that must support on-premises PSTN or existing Skype for Business Online deployment that require on-premises PSTN. Even though the CCE might seems to be the ideal solution, there are set of unsupported scenarios that need to be aware of. CCE does not support Hosting Scenarios. Delivering hosted Skype for Business services using hosting model, leveraging on CCE is not supported. The 70% traffic must generated within the internal interfaces of CCE. Rest of the 30% can be on external interface. To make the long story short, Skype for Business services cannot be delivered using Edge services, if the CCE is in use. If a MPLS is in use between the client site and the data center that host CCE, then it is consider as Private Cloud and it is supported as the traffic that generated is considered as an Internal Traffic. This one is going to be a mood changer for most of System Administrators. As of now, CCE is not supported to be deployed on top of VMWare based Hyper-Visor. Only Hper-V is considered as the supported Hyper-Visor platform. This statement will probably change in the future or probably not. But, have to play ball, if you plan to deploy the CCE. CCE is not designed to support custom Dial Plans or voice routes. Set of default Dial Plans will get crated based on the Country that mentioned within the .ini file, by the time that CCE was deployed. This one is a huge let down. CCE cannot coexist with any on-premises or hybrid Skype for Business\ Lync deployments. As mentioned above, CCE can only be deployed in a greenfield environment. Further to above there are several other known limitations mentioned in Technet. Consultative transfer is not supported. You cannot transfer an active call to your cell phone that is registered in your Active Directory by picking it from a list of suggested phones in the transfer menu. You can transfer to any other number. Escalation to conference from a call between a PSTN and Skype for Business user is not possible (you can, however, escalate call to conference between two Skype for Business users). Dial plan is not applied on Polycom phones and Skype for Business clients for Android and Windows phone. To dial a number, you must use the full E.164 phone number. So that was Skype for Business Cloud Connector edition in brief. 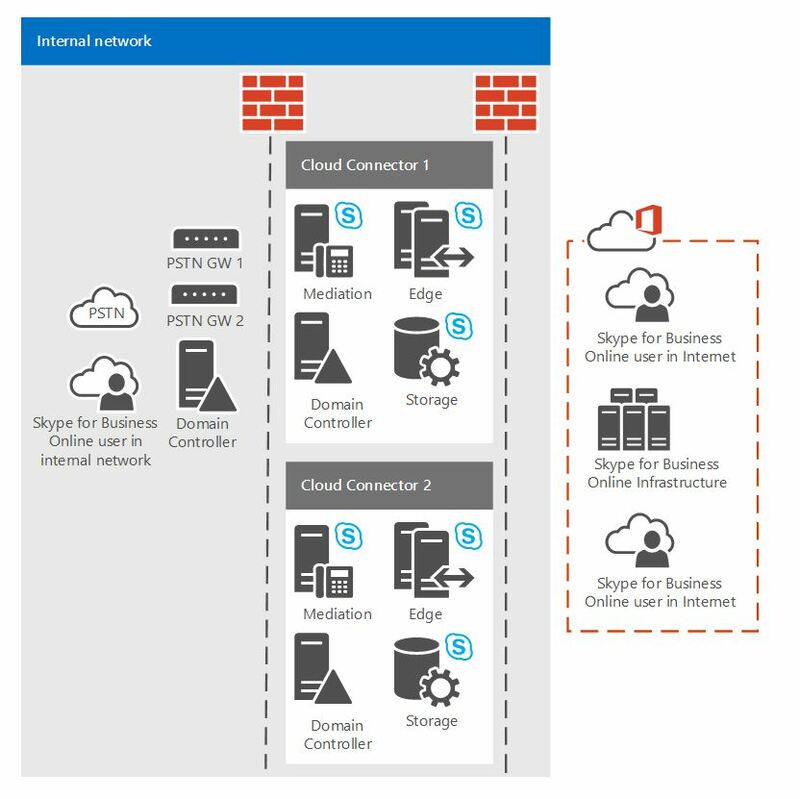 In detailed information can be found in “Plan for Skype for Business Cloud Connector Edition” Technet article.